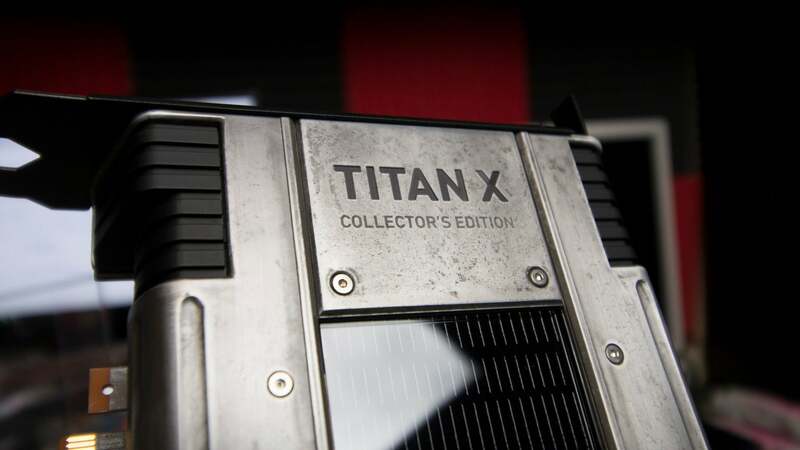 Up until last Thursday, the Nvidia Titan XP was the most powerful graphics card you could put in a PC. But being the most powerful isn’t enough for some people to justify laying out £1,000. 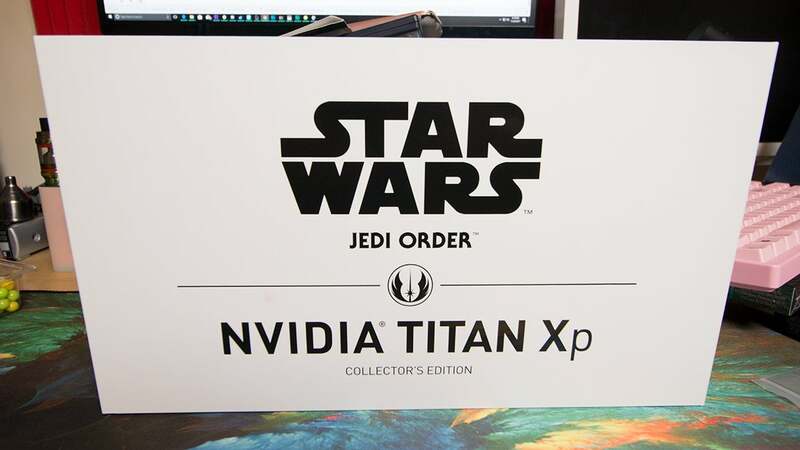 So Nvidia used the Force. Or licensed the Force. 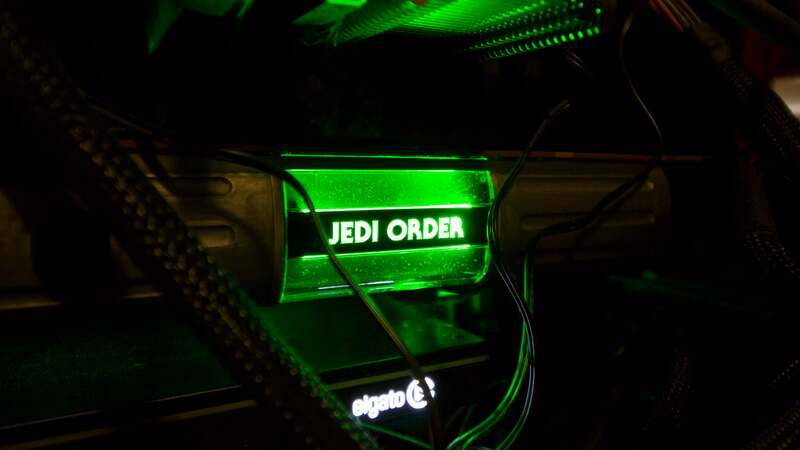 Either way, check out this Jedi Order video card. 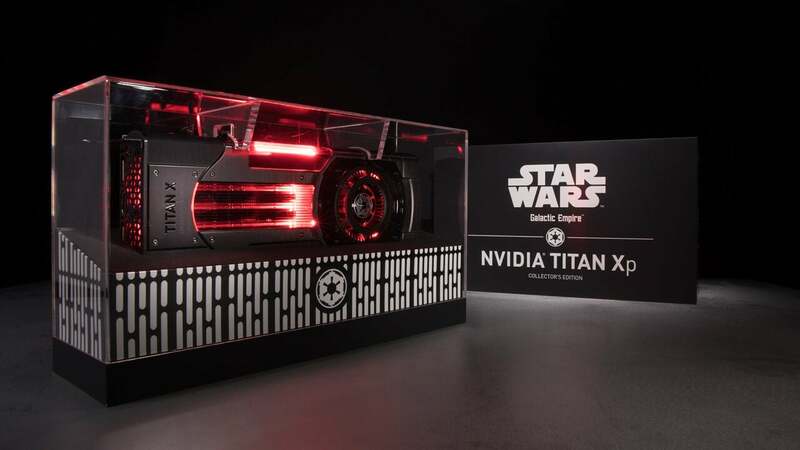 The limited edition Star Wars Titan XP comes in two different models. There’s the Galactic Empire version, which is all black and red and shiny. It’s the sort of video card a Space Nazi might love. But the one I’ve been playing with is the Jedi Order version, all scruff and grit and can-do attitude. It comes packaged in a brilliant white box, because that’s the color of cowboy hat that heroes wear. 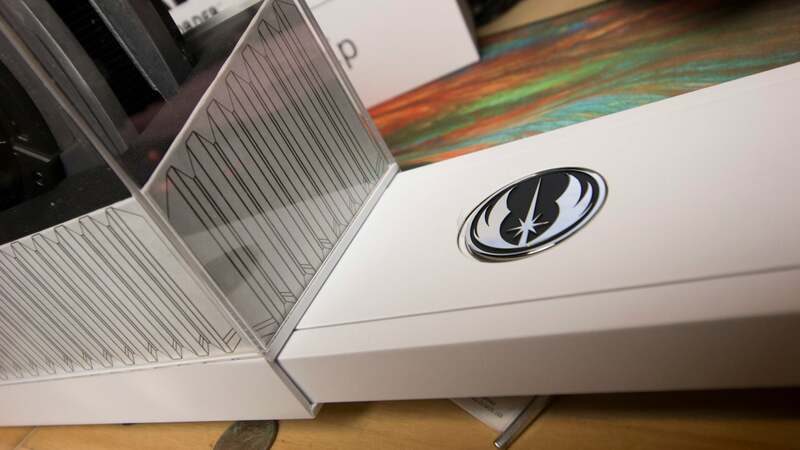 For Star Wars fans who don’t have a computer to put the card in (or for when the next round of Nvidia cards make this one obsolete), the box opens to reveal a lovely acrylic display case. 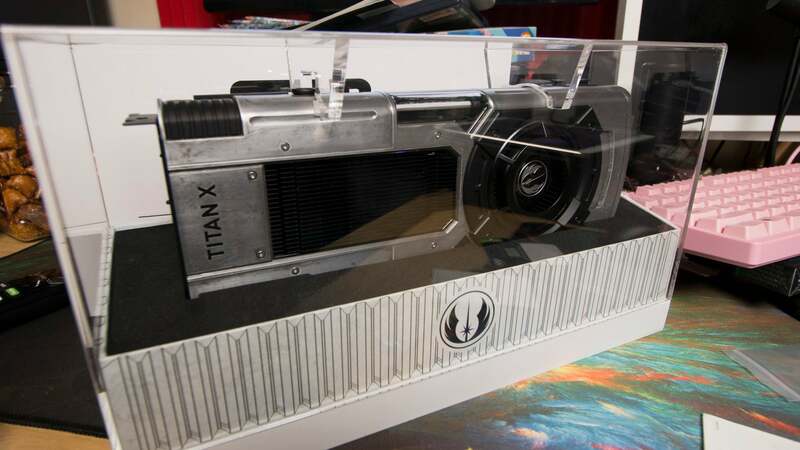 Who would pay £1,000 just to display an overpowered Star Wars video card? Have you met Star Wars fans? The base of the box features a little pull-out draw hiding a Jedi Order medallion. Depending on which era of Star Wars you prefer, you might want to keep that hidden. The outside of the card mainly consists of beautifully-distressed metal. It makes it look like someone just pulled it out of a salvage yard and wired it into their X-Wing. Normally I have to use a video card inside my horrible desktop for at least a month before it looks like this. When looked at from the side, say when it’s inserted into your computer, the design evokes a Jedi lightsaber. 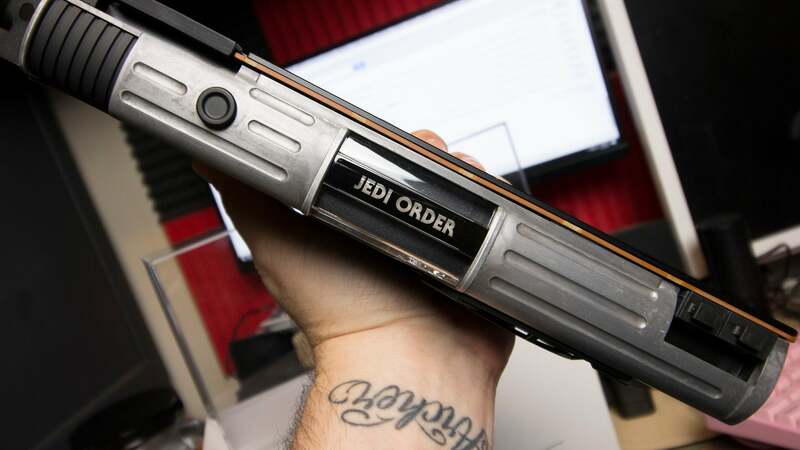 Only I doubt there ever was a Jedi who felt the need to write “Jedi Order” on the side of their lightsaber hilt. I suppose it would be helpful in case someone found it on a battlefield and wanted to return it. And on the top of the card we have another Jedi Order logo, only this one is dedicated to maintaining the balance between hot and cold instead of light and dark. Say what you will of this design, but I’m a fan. 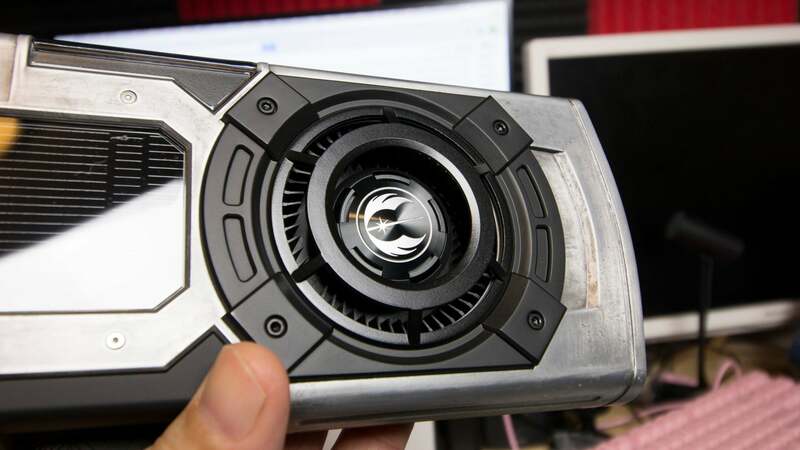 As for performance, the card is every bit the beast the non-Star Wars Titan XP is, only it looks much better. The Titan XP was introduced earlier this year to fix a weird situation where Nvidia’s former top-of-the-line card, the Titan X, wasn’t as powerful as the much cheaper Geforce GTX 1080 Ti card. This one’s definitely more powerful, though whether or not it’s hundreds of pounds worth of more powerful is up to the user (check out the full review Tom’s Hardware did for an exhaustive rundown). If you do plan on spending the money on graphics from a galaxy far, far away, I’d recommended a PC enclosure with a nice window on the side. Don’t want that green Jedi glow going to waste. Both the light and dark side cards are now on sale via Nvidia for £1,000.